Lynn Samsel, age 75, of Prosper, TX, passed away on March 24, 2015. She was born on June 4, 1939, to Bill and Winnie Gerhauser, who preceded her in death. 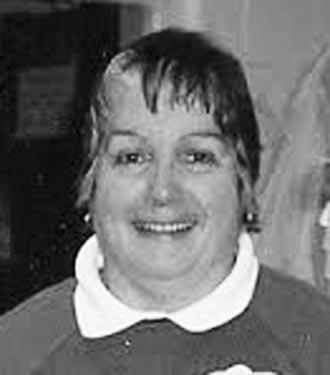 She lived most of her life in Toledo, Ohio and was employed by Lamson’s, Lucas County Schools, Toys-R-Us, Kahler Pharmacy and was a retired cast member of the Walt Disney Co. Lynn was a skilled craftsperson, an excellent seamstress and knitter. She created all of the gowns for her daughter’s wedding. She also helped contribute to the success of many OLPH Church fundraisers. She served as a PTA president, girl scout leader and cookie mother. She was an avid Disney fan and made over 40 trips to Disney World. She loved baseball and was a season ticket holder for the Toledo Mud Hens and recently for the Frisco RoughRiders. She is survived by her husband of 53 years, Terry; daughter, Carol (Tony Fox); son, Rob (Gretchen); sisters, Sue (Gail Dunphy), Molly McHugh; grandsons, Jamal, Jamie, Liam, Jack, Eli, Caed, Asa and several aunts, uncles, cousins, nieces and nephews.